I agree with the terms and conditionsof Gamgos. In a time of turmoil and the ever-growing shadow of the Roman Empire. Romans with their vast greatness and power were not the only people of honor, culture, ingenuity and bravery. Many got tired of Roman cruelty, as the years went by and the Romans became more interested in subjugating everything in their path, rather maintaining their sovereignty and co-existing with other nations. 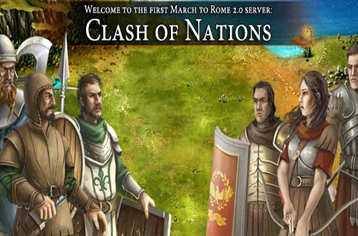 Leaders have risen from all nations – will they kill each other or live to challenge Rome. Only time will tell.